The Mid Europe Festival for Wind Music was created in 1998 by Dr. Wolfgang Suppan, past-President of WASBE (World Association of Symphonic Bands and Ensembles). It is considered to be the largest wind music festival in all of Europe. 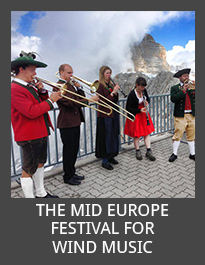 Besides the breathtaking views of Austria’s Planai and Hochwurzen mountains as seen from the Alpine village of Schladming, the festival will provide your band with the opportunity to hear wind music performed by musicians from around the world. Your band’s own concert performances will be attended by audiences who expect outstanding musicianship and enjoy inspiring music. The festival is a blend of performances and educational opportunities and also gives your musicians the chance to interact and connect socially with musicians from around the world. 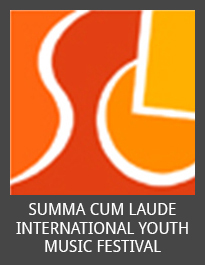 The groups attending the festival will have opportunities for formal, open-air, late night, and church performances. A highlight of the Festival is Lange Nacht der Musik (Long Night of Music). This night features a marching band show, a candle lit parade and then a night full of concerts from five different stages.